The Younger Woman's Club impacts the Louisville, Kentucky area through many service opportunities. Our Members and Members-Elect are required to maintain a yearly community service record. "From the beginning of our grassroots effort to open Gilda’s Club Louisville, the YWC has been there supporting this organization and the families we serve. Raising awareness about our mission and the availability of FREE support, for those living with cancer who need us, has been a challenge since 2007, and the funding of various promotional initiatives and tools from the YWC has made an immeasurable impact on many lives." 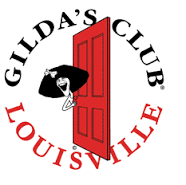 -- Karen Morrison, President/ CEO, Gilda's Club of Louisville. "Younger Woman's Club is a community gem with a long history of supporting Family Scholar House's mission and special participants. This special collaboration means a great deal to our organization and the 2,500 disadvantaged families that we serve annually. YWC members are strategic in leading projects and compassionate in their interactions with our scholars of all ages. YWC members are quick to volunteer and regularly include FSH and our participants in their activities. As an example, some of the children of FSH are given the opportunity to participate in YWC's annual fashion show, an experience that leaves a lasting impression on our youngest scholars. Often, the disadvantaged families participating with FSH have grown up feeling left out and have missed out on opportunities due to their lack of financial stability. However, through the partnership with YWC this fashion show and other events throughout the year reflect a spirit of inclusion, a value YWC always strives to create within the Louisville community."